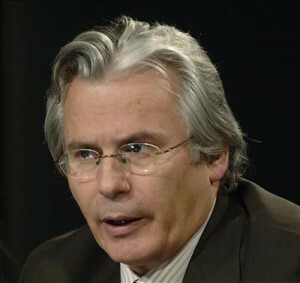 Spain’s best-known investigative magistrate, Baltasar Garzón, is now being prosecuted in a politically driven case that should have been thrown out of court. Judge Garzón is charged with ignoring a 1977 amnesty law when he decided to investigate the disappearances of more than 100,000 people during Spain’s 1930s civil war and the decade of Francoist repression that followed. The charges were brought by two far-right groups who fear an open investigation of the Franco-era record. Unfortunately, one of Mr. Garzón’s fellow magistrates sustained the complaint and brought formal charges this week. As a result, he will now be suspended from his duties pending trial. If convicted, he could be barred from the bench for up to 20 years, effectively ending a career dedicated to holding terrorists and dictators accountable for their crimes. That would please his political enemies, but it would be a travesty of justice. The real crimes in this case are the disappearances, not Mr. Garzón’s investigation. If, as seems likely, these were crimes against humanity under international law, Spain’s 1977 amnesty could not legally absolve them. The suspected perpetrators are all dead, and Mr. Garzón long ago halted his investigation, passing jurisdiction to local Spanish courts in the areas where the victims were exhumed. Mr. Garzón is a fearless and controversial prosecutor who has made many enemies over the years. He has brought cases against Basque and Al Qaeda terrorists, powerful Spanish politicians, Latin American dictators and Russian mafia thugs. High-profile cases, like his bid to try the former Chilean dictator Augusto Pinochet, appeal to him, and sometimes he overreaches. But his consistent goal has been to deny impunity to the powerful and expand the scope of international human rights law.